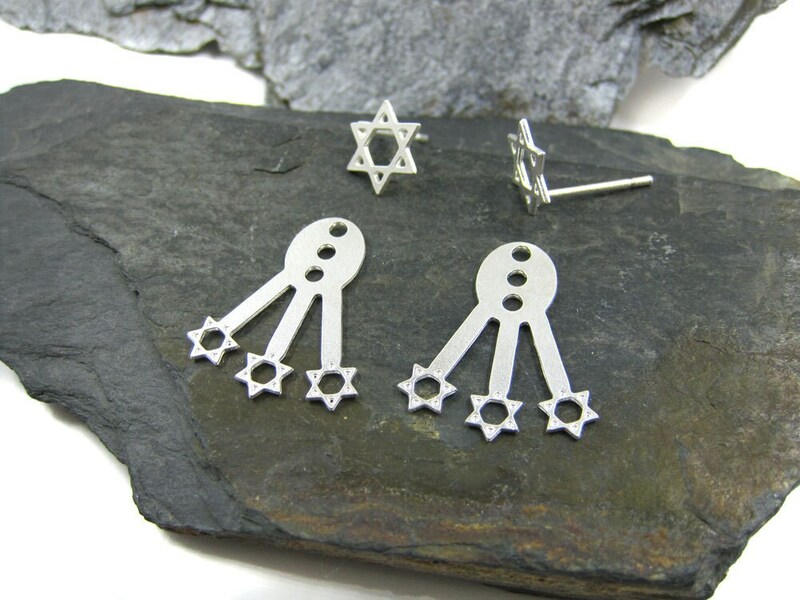 Silver Magen David Ear Jacket Earrings. A great gift for the Jewish holidays or any Jewish occasion like a bat mitzvah or a unique gift for a new mom. 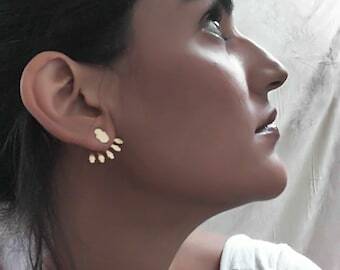 ✦ A pair of Star of David ear jacket earrings made of Silver plated over brass. ↔ Back earring width: 1.7 cm \ 0.7"